In today’s competitive college application world, test scores and class ranks aren’t enough to stand out. Certainly an essay can help elucidate the unique qualities a student possesses, but a well prepared college resume can do wonders for an applicant. Resume, you say? But my student doesn’t have actual work experience. Don’t worry, these resumes aren’t the same kind they will be creating in order to get a job. A college resume is a collection of all pertinent information on (hopefully) one page. In order to begin the process of creating a college resume, it is a good idea to collect all transcripts, grade reports, test scores and any awards the student has possession of. If your student is in their early high school years, it is still a good idea to get started on this. While sitting with a parent the student should begin by compiling their “list.” This list should be comprised of extracurricular activity involvement, jobs, volunteering activities, interesting travel experiences, athletics and internships. Don’t worry, many students will only have a few of these. Once that list is compiled, think about the specific roles the student took on while participating in these activities. For example, if a student was a starting goalie for their varsity soccer team, that is an important addition to the resume. If a student led a volunteer event or helped to organize a dance or school event, those aspects are also important. In other words, note any special recognition or opportunities a student tackled during their high school years. With that list complete, now is the time to begin assembling the resume. A college resume actually looks a lot like a basic entry-level resume, with a few exceptions. The organization will not just include education, experience and skills. Students will be adding scores, references, honors, awards, and experiences. Heading: This includes the basics (name, address, phone, email, dob and high school attended). Objective: Just like a regular resume, this is recommended. Typically a student will include their plans for study (i.e. major, scholarship application, etc). The Stats: GPA, Class Rank, Test Scores (you may choose to add AP test scores if they were taken during Junior Year. It is recommended that you only list scores of 4 or 5 on your resume). Education: High Schools attended and any other academic schooling obtained outside of their normal education. Use discretion. Activities: This category should include all clubs, athletics, class board, student government and the like. Make sure to add the year these activities took place (9,10, 11, 12), much like you would add dates on a professional resume. Add on any special roles or recognitions for each separate activity. In other words, if a student is a starting third basemen, they should add that. If they made it to the state finals in chess, they should add that. If they were elected VP of their club, or had the lead in a school production, these should also be added. Honors and Awards: Whether it is an all-conference player award or an academic excellence award, make sure to add those here. Make sure to add the grade (9-12) for each one. Community Activities: These can include volunteer experience, youth groups or anything of the kind. Make sure to add the grades and the specific roles, if any. Enrichment: If a student has had any unique opportunities with travel, programs outside of the school or interesting hobbies, these should be added here. Use discretion. Work Experience: Not every student will have this, and that is okay. If the student has only worked one day in their life, then they should probably skip this section all together. Make sure to list the specific roles and the grades during which the job took place. Other: This one is tricky and not exactly necessary. This is an opportunity to add some wow if you have it. Or, maybe this is an opportunity to express a student’s unique life. Perhaps a student spent their high school years taking care of their siblings or an elderly relative. Or, perhaps the student has a special situation that needs explaining. Be concise and use discretion here. References: Although the common app might ask for references, it is a good idea to add a list of contacts that would provide a good reference for a student. This section isn’t really necessary, but it might be required with specific scholarship applications and the like. Overall, the college resume should be an honest portrayal of a student’s life. 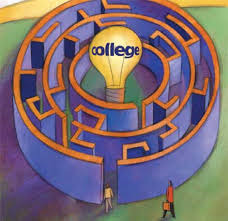 Colleges know that being a student is hard enough. There is no need to pad a college resume to look like a student is participating in too many things. If their grades aren’t perfect, a college might think that their activities spread them too thin, or perhaps they can’t handle multiple tasks in a given semester. The most important thing is that the resume is clean, organized and realistic. Work with your student to create a reasonable college resume that depicts an authentic portrayal of your student. Need Help? Chicago Academic has expert coaches to help your student build a great resume and craft outstanding college essays.